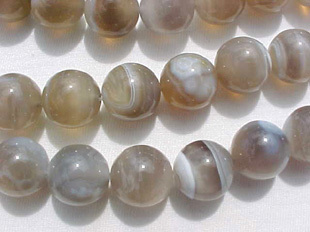 Softer colored agate, charcoal, greys, beige and creams. Just lovely! 14mm diameter, well rounded and shaped.